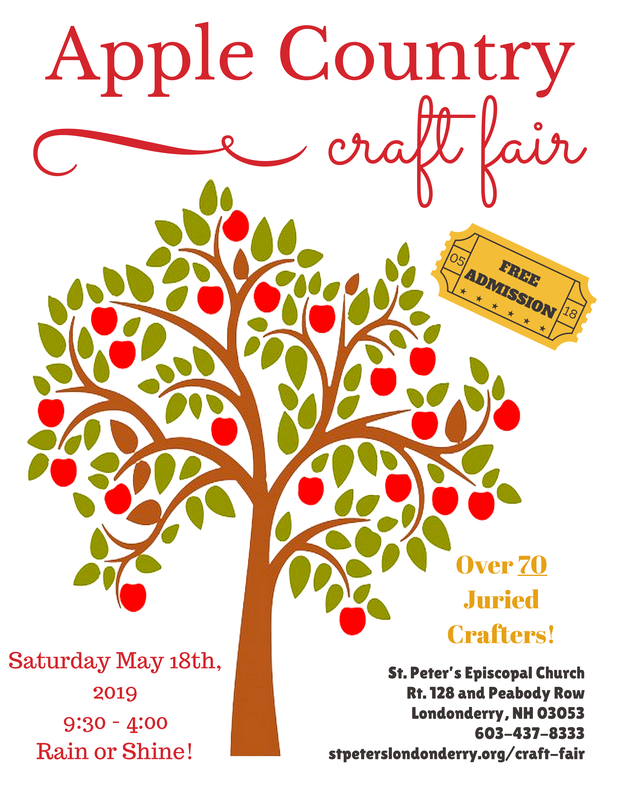 St. Peter’s holds two craft fairs each year. Crafters from all over New England come to exhibit their handmade creations. The church sells drinks and freshly baked goods, hot and cold sandwiches and more from our bistro and holds a raffle of items donated by the crafters. The May Spring Fling Craft Fair is one day, and is held on the Saturday after Mother’s Day. The September Apple Country Craft Fair is a two-day event held the weekend after Labor Day. Thanks to the 68 vendors and all the patrons for the success of the 2018 Fall Apple Country Craft Fair! Two days of cloudy and cool weather, a great precursor of the Fall season to come. We look forward to the Spring Fling Craft fair in May. 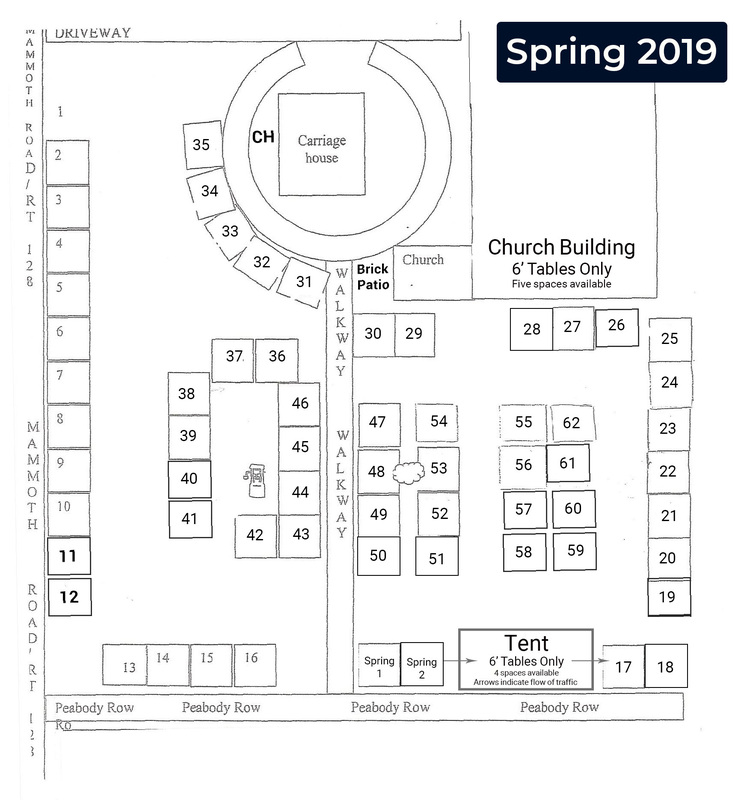 2019 Spring Fling Craft Fair is scheduled for Saturday, May 18th, 9:30 am - 4:00 pm. 2019 Fall Apple Country Craft Fair is scheduled for Saturday, September 7, 9:30 am - 4:00 pm, and Sunday, September 8, 9:30 am - 3:00 pm. NOTE: The Spring and Fall fairs are sold out!